BEE a reader with your baby! Learning to read begins before your child starts school—actually, it begins at birth! Click here for information and tips about sharing books with your baby. Need some book suggestions? Here’s a list of books we especially recommend for babies. Bring your baby to our new Baby & Me storytime for ages birth to twelve months, which is designed to develop your baby’s brain through songs, movement, and stories. Check our calendar for upcoming dates. 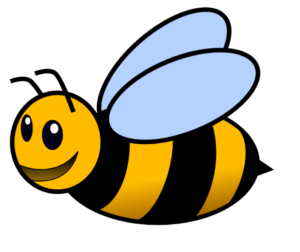 Receive a Welcome Baby Buzz Pack including a book, early literacy information, and toys when you bring your new honey to the library. Reading aloud to your child is the most important thing you can do to help your child get ready to read! 1000 Books Before Kindergarten is a free, self-paced reading program. Sign up at the Youth Services Desk and earn prizes for every 100 books you read together. Click here for more information or take a look at this chart to estimate how long it will take you and your child to reach 1000 Books! This program is for ages birth to five years. Our Grow a Reader kits have been designed for children from birth to preschooler and their caregivers. Each themed kit comes with a variety of materials from books, puzzles, and CD’s, to puppets and more on a variety of fun topics including seasons and holidays. In addition, each kit also contains a guide sheet that includes songs, rhymes and other suggested activities to do with your child while using the kit. Click here for more information on using our Grow a Reader kits to build early literacy skills at home. Check our calendar for dates and times of all upcoming storytimes and other programs! Here are 8 basic early literacy tips from the 1000 Books Foundation! Their website also includes a list of recommended books and links to other resources and articles. 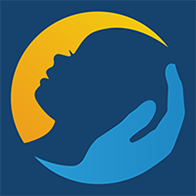 The Center for Early Literacy Learning (CELL) has a variety of practice guides that offer early literacy tips for parents of infants, toddlers, and preschoolers. Some of these guides are also available in Spanish. Get Ready to Read! is a service of the National Center for Learning Disabilities which offers resources and information on early childhood education and kindergarten readiness, relevant for children with or without special needs. Click here for research-based information and resources concerning early literacy. Reading Horizons is a company that promotes literacy at all levels of education. Take a look at this page to learn more about early reading skills and the research-based practices you can use to build them. Reading Rockets provides information and resources for adults who are teaching children to read or helping struggling readers. Read more about early literacy development here. 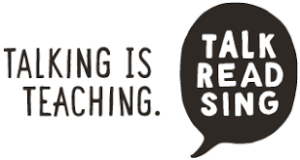 Talking is Teaching is a public awareness campaign to help parents develop their child’s vocabulary and other skills through everyday activities. Resources include a language skills milestone chart for children up to five years old, tips for bilingual families, spotify playlists, and suggestions for grandparents. The U.S. Department of education offers these tips for helping your child get ready to read. Zero to Three offers a wealth of information on early childhood development to support parents and caretakers. Learn more about your child’s brain development or take a look at these articles on early literacy.